Six-year-old Jen-Noelle walks barefoot and alone for as long as two hours from her village to get to school. She has shoes, but the long walk through the mountains would ruin her only pair. Around her, there are no cars or roads. There is no running water, sewage or trash disposal. She walks on through the heat because for her, missing school may mean she loses the most significant or only meal of the day, so she walks on. Not long ago, this journey wasn’t even possible for the more than 3,000 children like Jen-Noelle living in St. Joseph Parish of Medor located in the mountains of central Haiti. 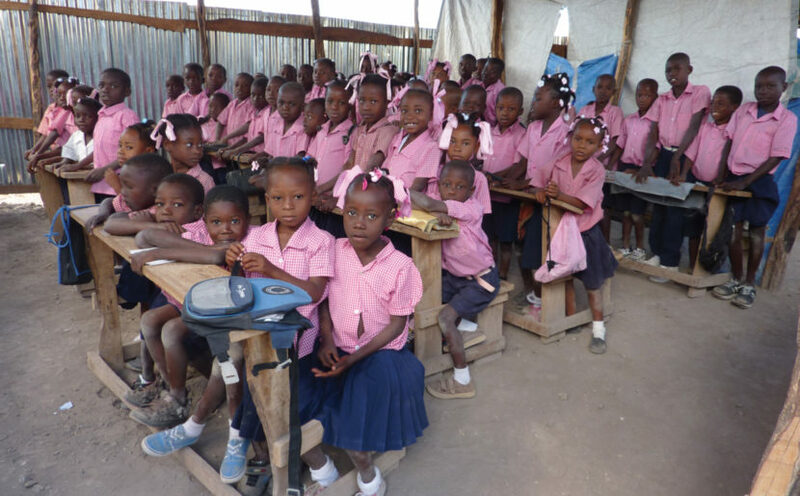 Because people joined together to develop small chapel schools, education is now within reach. Bernadette (Lucinus) McManigal, BVM first learned about St. Joseph when she was a member of Our Lady Queen of Peace (OLQP) parish in Arlington, Va. In 1997, the church started a partnership with St. Joseph as part of the Parish Twinning Program of the Americas, a nonprofit that connects parishes in the U.S. with those in need. 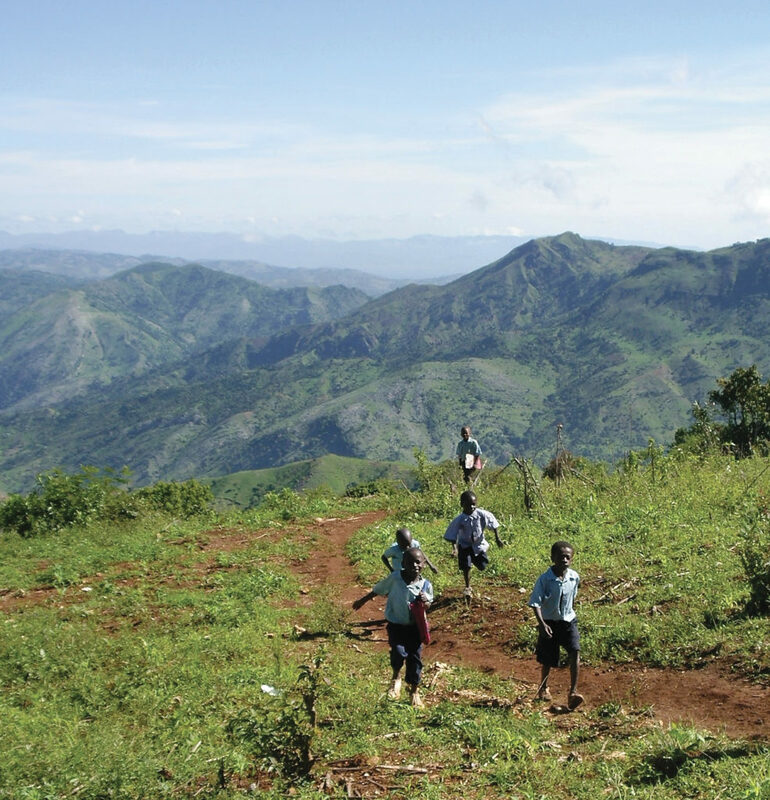 There are no roads connecting remote villages in the sprawling 74-mile St. Joseph Parish of Medor, Haiti. Some students walk three or more hours to get to chapel schools. The program aligned with OLQP’s mission inspired by Matthew 25:31–46: “Anything you do to the least of my brethren, you do to me.” Since then, OLQP has helped St. Joseph build and maintain chapel schools to reach students in remote areas, access clean water and sanitation, rebuild forests, and provide free medical and vision clinics. 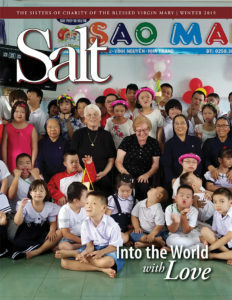 Lori Ritz, director of BVM life and mission believes it’s essential that students impacted by the BVM Legacy of Love in different parts of the world connect with other schools. After learning about the efforts in Haiti, Lori reached out to Sue to see how she could make that happen. 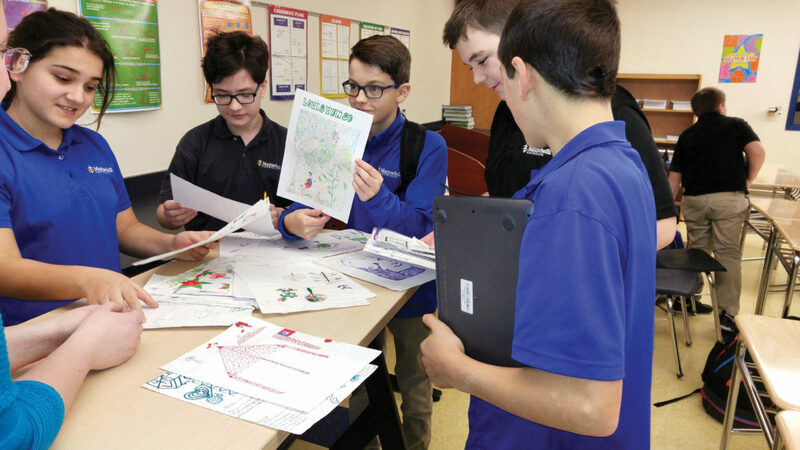 Students at Mazzuchelli Middle School in Dubuque, Iowa, study drawings from Haitian students depicting images of life in Medor, Haiti. After talking with Sue, Lori contacted area educators to see if their students would like to form a partnership with St. Joseph students. Emily Schmidt, a math teacher at Mazzuchelli Middle School in Dubuque, Iowa, thought it was an excellent opportunity for her students. At the time, Emily’s students were learning how to make scale drawings. They decided to draw scenes from Dubuque to share a part of their culture with the Haitian students. Before journeying to Haiti last fall, Sue stopped in Dubuque to meet the Mazzuchelli students to share stories like Jen-Noelle’s. It was an experience that meant a lot to Emily’s students. “I don’t think my students can imagine what it’s like to live in such an isolated area and not know anything about the outside world,” says Emily. She adds that hearing the stories of students in Haiti made the project more impactful to the Dubuque students. While in Haiti, Sue brought the drawings from the Mazzuchelli students as well as donated art supplies. “The students in Medor were delighted that the kids in Dubuque had taken the time to make these drawings for them,” says Sue. The children responded with dozens of their own drawings of life in Haiti, sharing images of their homes, washing clothes by the river, and more. Each sent a message of hope, love, and friendship. Guided by Mother Clarke’s spirit, BVMs understand that to meet the needs of the world, they must work unitedly, not just as a congregation, but as a global sisterhood of religious communities.